Krista Beardy spends her days digging in the mud along the shore of the Bay of Fundy, looking for clams and mussels which she will test for the presence of microplastics. 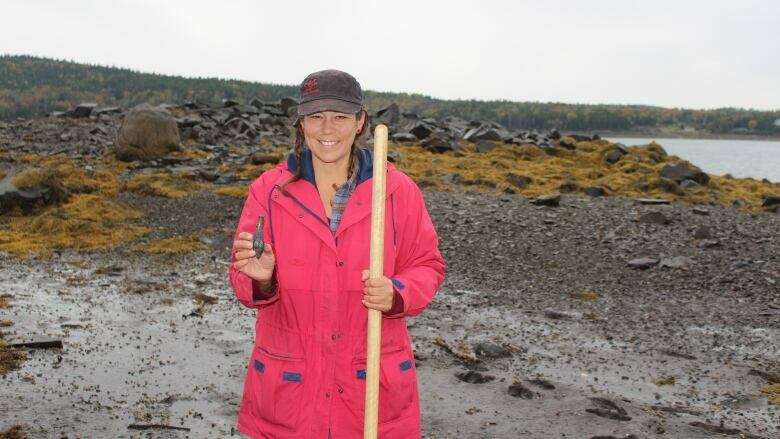 Krista Beardy spends her days digging in the mud along the Bay of Fundy shoreline, looking for clams and mussels that she will test for the presence of microplastics. The 43-year-old graduate student in biology at the University of New Brunswick in Saint John was inspired to start her research after more than a decade as a kayaking guide and instructor. Whenever she was on the water, Beardy ​found the amount of trash "perplexing," especially after a large storm. "Where did all of this come from? This all couldn't come off of boats. Is this blowing off the land? Is this inadequate landfill issues? It was just immense amounts of trash making its way into the ocean so that's kind of what inspired me to start this." 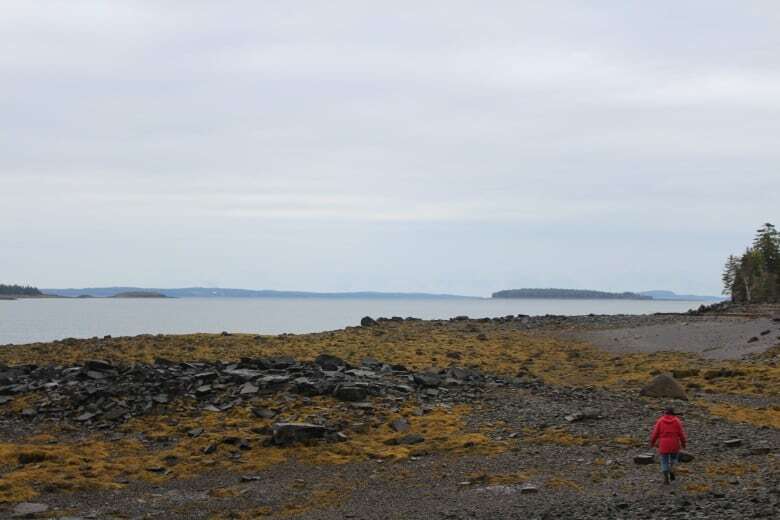 Beardy's microplastics study focuses on clam and mussel species found on the beaches on the New Brunswick side of the Bay of Fundy, and she plans to expand her research to the Nova Scotia side in 2019. Her preliminary results found "plastic contamination" in the flesh of every clam she collected. Beardy "digests" the tissue or "biological material" of the clams using an alkaline solution that leaves behind only the microplastics. "Whether that's four or five pieces or up to 14 for one clam that I digested — and there doesn't seem to be a rhyme or reason about where the ones that were more highly infected with plastic are," she said. Beardy is also collecting samples of the sediment, or mud, that is directly beside the clams, and documenting the feeding strategies of the different species. "Some of the them are filter feeders and some of them are suspension and deposit-feeding bivalves, and I want to see what kind of feeding strategies are at higher risk of uptake of microplastics in their diet." The microplastics Beardy is finding are "teeny, tiny" and not visible to the naked eye. Holding a soft shell clam that she's just dug up, Beardy will drop it in a triple-rinsed glass jar and put it in her freezer until she is ready to search the sample in her lab for microplastics. "Most of it looks like tiny rope, but there are some little round pieces, there are some films — like plastic bags." Beardy doesn't expect ingesting these microscopic bits of plastic will hurt humans, because the pieces are too small to cause any obstructions. "It usually passes through our system and, in fact, the plastic itself is biologically inert. It's not going to obstruct our stomachs." 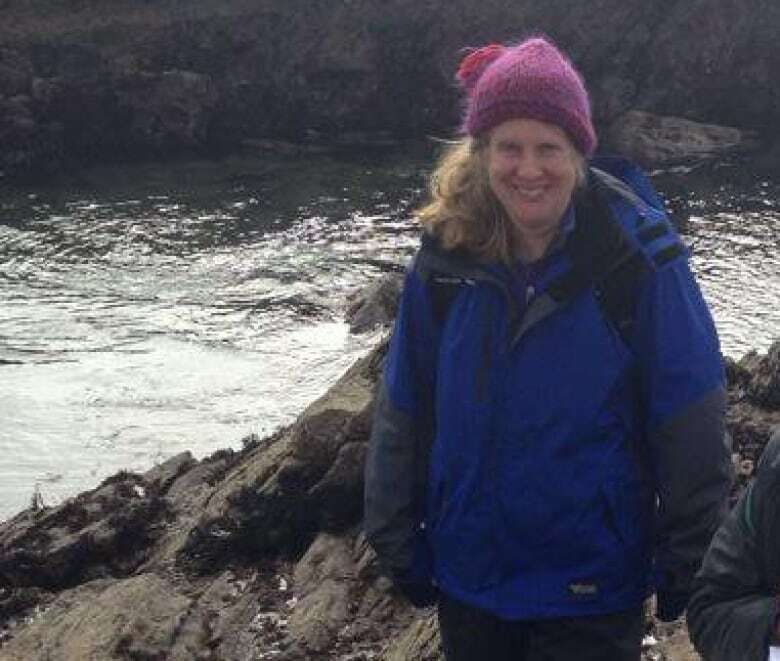 Heather Hunt, a marine ecologist and professor in the department of biological sciences at UNB in Saint John, is Beardy's academic supervisor. She said the presence of microplastics is an environmental issue that's getting more and more attention. "We're still at the stage of figuring out where they are, how much there is — all of that kind of basic stuff that we need to know about them before we can figure out how much of an impact they're having on organisms or potentially even on people." Hunt doesn't think the discovery of microplastics in local clams is something to "freak out about." "If they are there in the clams, they've been there for some time," she said. This research project, and many others taking place across the country, aim to identify where microplastics are being found. In a news release, Fisheries and Oceans Canada said the results of research being done across Canada will help "inform future decisions about how to protect and use our marine freshwater environments." 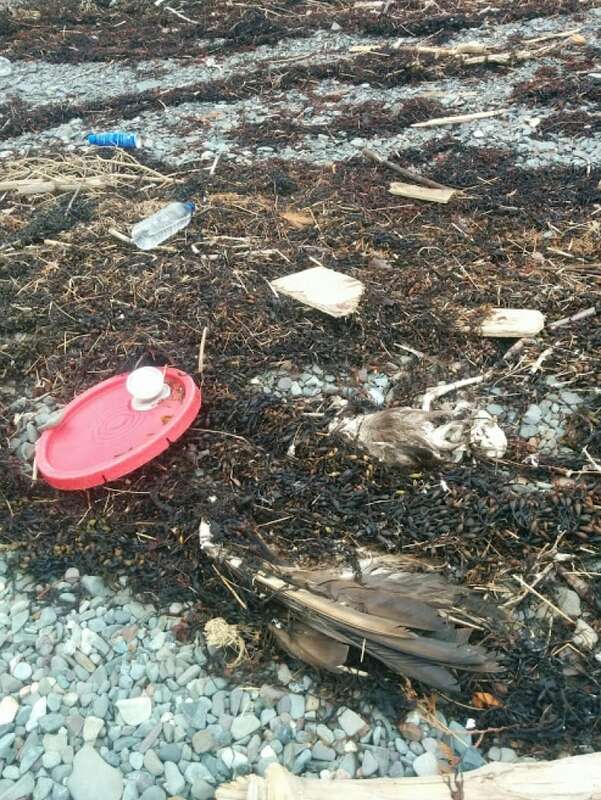 On a secluded beach on Berry Point, more than 100 kilometres from Saint John and more than 10 km from Saint Andrews, you can see hundreds of pieces of trash — all of it plastic. 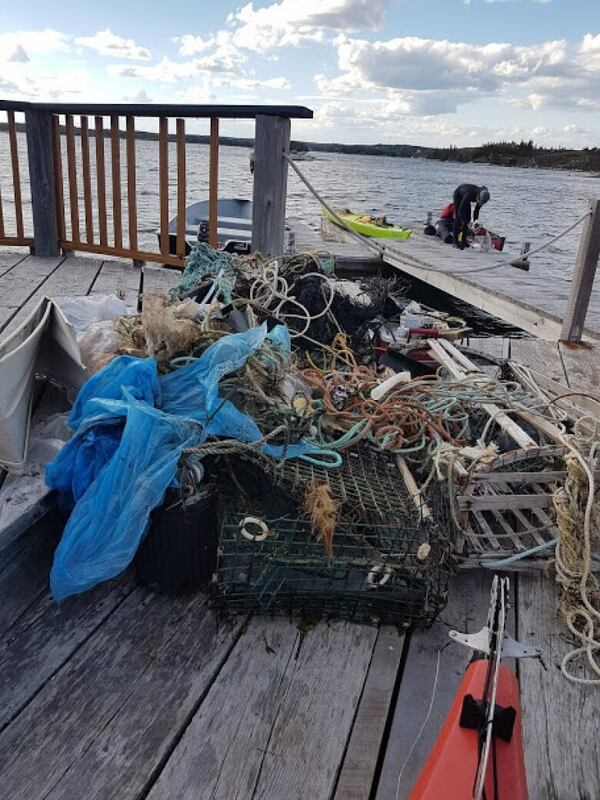 There are large feed bags, blue plastic garbage bags, pieces of rope and dozens of elastic bands used to keep lobster claws closed. As part of her research, Beardy is recording the amount of plastic on various beaches, and how it compares with the level of plastic contamination in the surrounding sediment, clams and mussels. Beardy said the amount of trash on this day "isn't too bad" but warned that when winter comes, it "gets really disgusting." The closer you look at the wet piles of golden seaweed, the more pieces of plastic you see. "It's just layers and layers of rope," she said. "If you were to dig through this seaweed you can see some blue rope there, some more blue rope there, and these things here — that strap cardboard together — feel how tough that is. That does not break up. That is something that anything could swim through and easily get tangled up for life in that." Holding a Styrofoam buoy, a bait bag and a plastic six-pack collar that she just picked up, Beardy confessed it is difficult to come back to a secluded beach over and over and see so much trash. "It makes me feel helpless," she said. "For what everybody's trying to do and you still see this in an area that has such a low population. "You see this and you know that this is a global problem. You know that it's not just the local industry and the local people that are causing it. We're all at fault, but at the end of the day, the oceans are one big global conveyor belt and it moves everything — including garbage." Hunt said the research will consider how far from human activity the microplastic is being found and will also look at ocean currents. Only after the baseline study is complete can scientists then look at what it means for the larger ecosystem. "Once we know how much microplastic is there and we know where there's more microplastics, then, I think, is the time we could look more at what are the potential effects of those microplastics," Hunt said. The amount of plastic garbage on the shore is "just a small indication" of what is lying below the surface of the ocean, according to Beardy. As plastic becomes contaminated with chemicals and sea life starts to attach itself to the surface, it moves down the water column and eventually mixes with sediments. "So we are looking at ocean sediments as a place where plastics are now going to be trapped more so than just up on the beach." Plastic that has become trapped at the bottom of the ocean breaks down much more slowly than plastic that is on the shoreline because it is not exposed to heat or light. 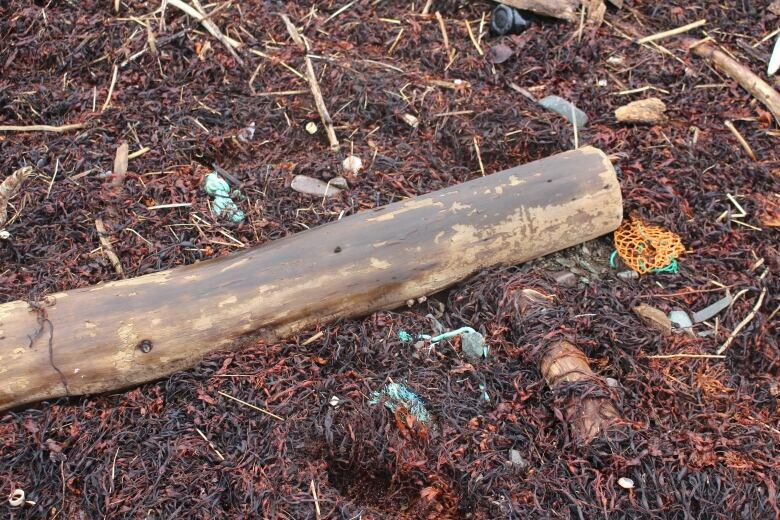 Another concern for Beardy are the contaminants that are attracted to plastic in the ocean. While microplastics will pass through our digestive systems, Beardy worries these bits of plastic could become poisonous. "My perfect example is DDT," she said, referring to the pesticide that began being used in the late 1940s but was banned a few decades later because of its environmental effects. "We haven't been using [DDT] for a very long time but it's still in our environment. It's those kinds of pesticides, that class of chemical, that binds to the surface of the plastic, and when it binds to the surface of the plastic it makes the plastic more than just an obstructive issue, it makes it a chemical contamination issue." Beardy recently discovered what she believed was a decomposing bald eagle on a beach on Berry Point, partly buried among seaweed and trash. "I have no way of knowing, of course, if this bald eagle was killed as a result of ingestion, as he was badly decomposed, but it was just a strange picture. Very sad." 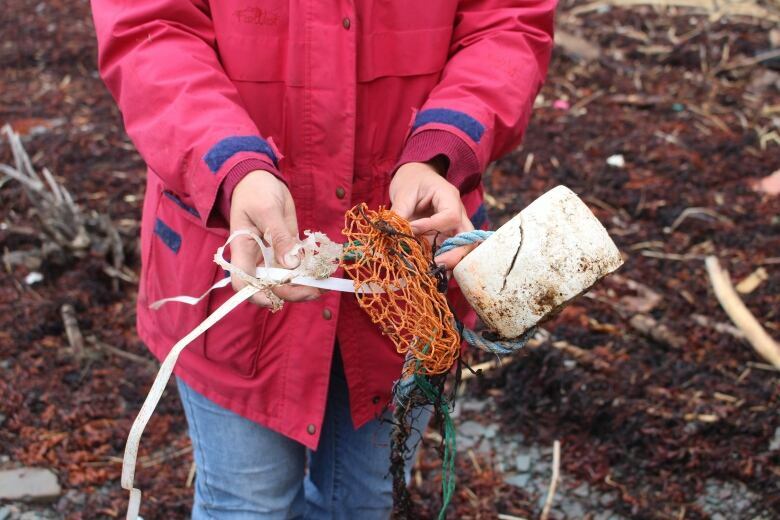 Cynthia Callahan of the Huntsman Marine Science Centre in Saint Andrews said plastic is destroying habitat for a growing number of species. 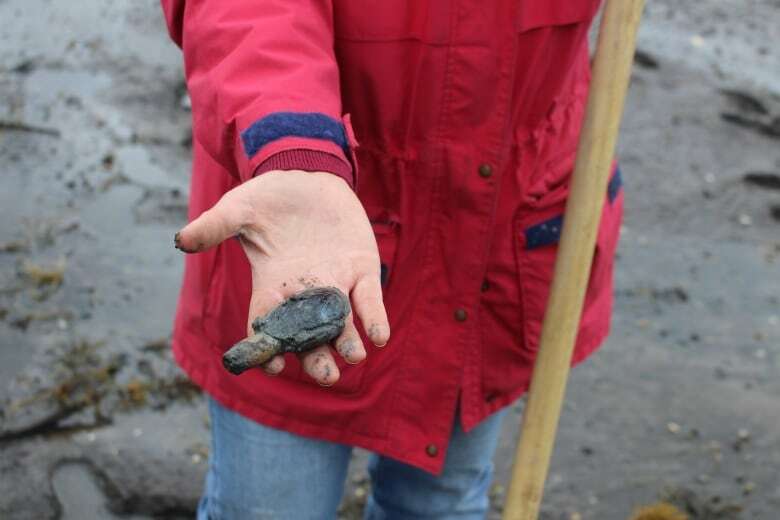 "All of these creatures call the Bay of Fundy home, and when man-made objects end up in there, it's definitely infringing on their environment," she said. 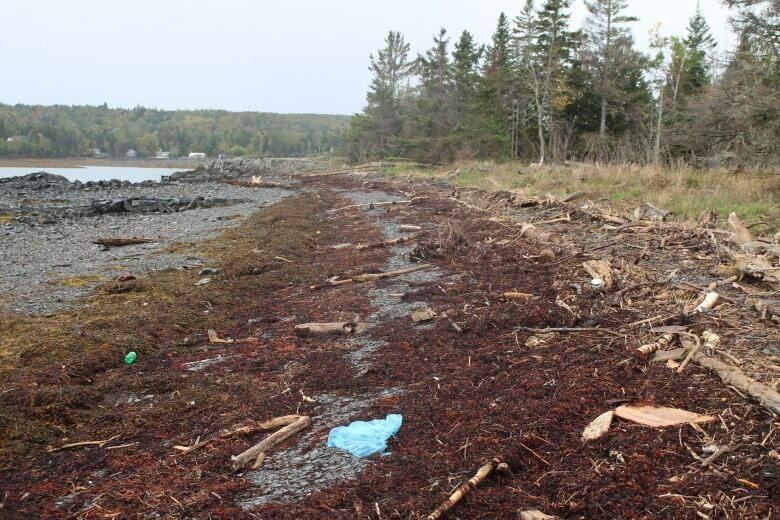 "It's in all of our best interests — emotionally, psychologically and financially — to make sure that the Bay of Fundy stays as beautiful as it can be." Beardy hopes her research will help persuade people to make changes to their behaviour so they use less plastic, and the plastic they do use is recycled. She said this is also a way to show industry, including fishermen, whose rope and gear are likely contributors to the plastic pollution, how important it is to keep plastic trash out of our waters. "We all want healthy fisheries around here — it's a big part of our economy and I for one love fish — and I don't want to see that on the list of things you can't eat anymore." Beardy said when she takes her findings to local fishermen, they listen and are "very fast to help." "I wanted a way to portray to the local fisheries that if we don't do something and we don't do something now, there's not going to be a fishery for the next couple of generations — it's not going to be the same."